The Republic of Azerbaijan (Azerbaijani: Azerbaycan Respublikasi) is a country in the Caucasus region, on the boundary between eastern Europe and western Asia. 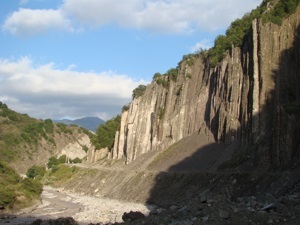 It shares land borders with Armenia, Georgia, Iran, and Russia, and has a coast on the eastern shore of the landlocked Caspian Sea. Additionally, Azerbaijan territory also includes an exclave, Nakhchivan, which borders Armenia, Iran, and Turkey. 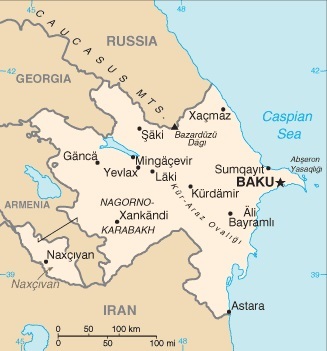 As of 2010, Azerbaijan had a population of about 9 million. 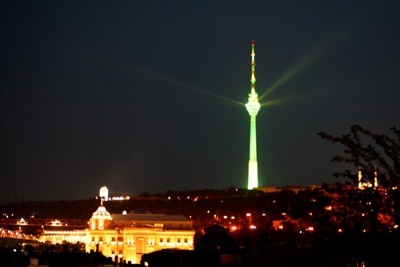 The capital and largest city, Baku (Azerbaijani: Baki), as of 2009, had an estimated population of 2,039,700. This easy-to-use city guide helps you unearth Baku’s treasures. Organised around a series of leisurely walking tours and some longer day trips, you will get in-depth information on all buildings, statues, parks, markets, places of worship and any other point of interest, researched through personal visits and by drawing on the expertise of locals. Every step of the way, uncluttered easy-to-follow maps guide you around the city. The largest and most dynamic city in the Caucasus, Baku is often overlooked by visitors in favour of its neighbours Tbilisi and Yerevan. Yet it is far and away the most exciting destination in the region, and deserves to be high up on any history-lover’s bucket list. Baku has witnessed almost two millennia of tumultuous history and has been witness to the rise and fall of a succession of empires, and this has left its mark on the city you see today. Baku’s beautifully-preserved old town harbours ancient mosques, palaces, towers, caravanserais and hammams within the confines of imposing twelfth-century defensive walls. The city has been home over time to Zoroastrians, Arabs, Ottomans, Persians, Shirvants and Russians, and each has left their indelible mark. Spreading out from the shores of the Caspian Sea, leafy boulevards lined with oil boom-era mansions give the feel of a European capital, with glitzy boutiques and Mercedes aplenty. Elsewhere, grey Soviet-era apartment blocks jostle for space with a Zaha Hadid-designed architectural masterpiece. Rusting railway tracks and nodding donkey oil wells encircle a centuries-old Zoroastrian fire temple. Hillsides burn and mud volcanoes bubbles. Baku is all this and much more; a vibrant mix of heady flavours, from different cultures, religion and periods. Getting to know Baku gives a brief history of the city and examines its history, geography and demographics. Part 1 takes you on a walking tour around the main sights of Baku’s old city. Part 2 explores the nineteenth century oil baron mansions in the boom town. Part 3 visits the stunning parks perched on the highest slopes of Baku. Part 4 takes a stroll along the beautiful corniche running next to the Caspian Sea and then indulges in some retail therapy. Part 5 goes further afield to take in the sights of Baku’s suburbs and further afield. Part 6 gives you all the essential practical information needed to make your trip plain sailing. Lonely Planet Georgia, Armenia & Azerbaijan is your passport to all the most relevant and up-to-date advice on what to see, what to skip, and what hidden discoveries await you. Experience the romance of Georgia's past at Tbilisi Old Town, take a long trip to the Svaneti villages, or hear your voice echo in Geghard; all with your trusted travel companion. Get to the heart of Georgia, Armenia, and Azerbaijan and begin your journey now! Authors: Written and researched by Lonely Planet, John Noble, Michael Kohn, and Danielle Systermans. Content updated daily - visit lonelyplanet.com for up-to-the-minute reviews, updates and traveler insights.